Top 5 Smartphones Under 15000 in 2015 is very much sought after in Indian markets. Rs. 15000 is presently the most affordable range for purchasing new smartphones in Indian market. Good news for my fellow patrons, I have managed to review successfully a few of the top android smartphones available in Indian Market under Rs. 15,000 for October and November 2015. I know, we’re in the times when smartphones are so easily available at a varied price from a variety of companies and brands, a few of which we’ve not even heard of before. I’ve also met a few people who like to risk things and confidently shop for some not so reputed or less known brands when it comes to their smartphones. So, are you planning to change yours? Read this post to set your mind for the best one only. The leading brand in our Smartphone list is ASUS ZENFONE 2 ZE551ML that stands #1 for its best in class performance, sturdy built and doesn’t get heated up easily. The only shortcoming feature is that the battery life could have been extended and so is the camera for its mega pixels. Without a doubt, this phone stands as best buy in the market today for under Rs. 15,000. Features: Autofocus, Front Facing Camera, LED Flash, Video Recording. The second leading brand on this list is Motorola Moto G (3rd Gen). After the tremendous success history of Moto G, carrying forward its legacy, Moto G 3rd Generation offers 64 bit Qualcom Snapdragon 410 chipset with 2GB Ram. The best part is it’s water resistant body with being first in line to receive the android update barring Nexus Phone series. Marshmallow update for MOTO G3 is already confirmed. Wireless Connectivity: 4G, 3G, Wi Fi, Wi Fi hotspot, Bluetooth, GPS, USB on the go. Storage: 8GB and 16 GB. Removable: up to 32 GB. This was definitely unexpected brand on the list; however, it is HONOR 6 from Huawei. Everything about the phone, from its design till its specs would make you want to just have it by all means. The only shortcoming feature is its cheap look for its plastic body. Otherwise, the phone stands #1 among the world’s fastest smartphones. Processor: Quad Core Cortex A15 & Quad Core Cortex-A7. Storage: 16GB and 32 GB. Removable: up to 64 GB. Here comes the famous and most loved Samsung Galaxy J7 that is a budget phone with some semi-premium features for the brand conscious people. It’s actually a ‘Phablet’ in true sense packed with alluring display, good camera and battery performance overall. Seeing Samsung phone in range of under 15000 is good experience. It can be said that it is one of its kind best Samsung smartphones under 15000. 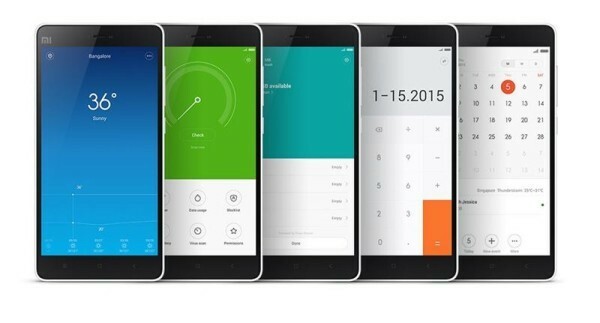 Finally, here comes Xiaomi Mi 4i is one hell of a premium looking phone from a Chinese manufacturer. It is power-packed with stunning looks and powerful hardware; a perfect combo of raw power with good looks. A few cons listed for this phone are limited market availability, no memory expansion (limited storage) and non-removable battery. Seeing its popularity, it has established itself as one of the best in top 5 smartphones under 15000 in India 2015. All of the above discussed brands and models are available with majority of e-tailers including Amazon, Snapdeal, Flipkart. I would have loved to add two more phones to the bottom of the list which are MICROMAX CANVAS KNIGHT 2 and Lenevo K3. Note that are equally competitive with the technical performance wise. Let me know, which brand would you have loved to topped the list here. With the hope that this information proves to be useful to you to get the best from the list of top 5 smartphones under 15000 in India, I shall get back with some more knowledge sharing write ups for you.